And I bet my house that you’re going to win the Oscar, so make room for it. I don’t want to jinx it, but I guarantee you you’re going to win an Oscar. Did you hear that, Academy? Elton John has bet his entire house on this win. While “Shallow” has long been the obvious frontrunner for this year’s Best Original Song honor, the Academy does have a history of making bizarre choices–remember the year Three 6 Mafia won an Oscar for Best Original Song while Martin Scorsese had yet to win a single Oscar for any of his movies? 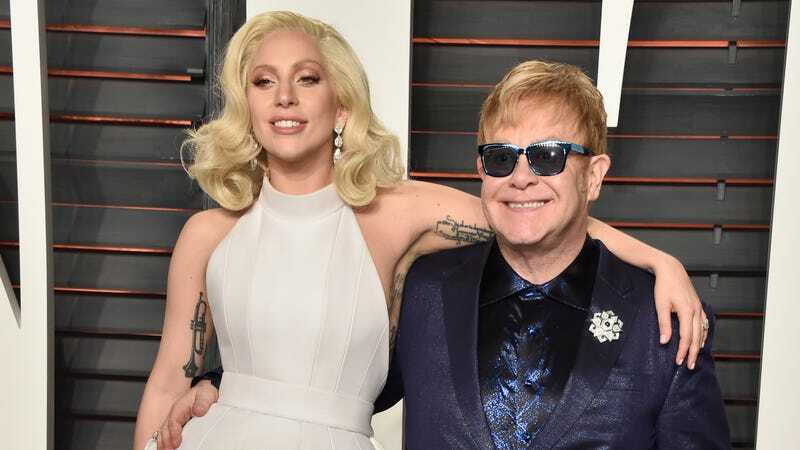 Yes, “Shallow” will almost certainly win an Oscar, but it’s well within the realm of possibility that Elton John could be giving Mark Ronson his house come February 24. I hope he’s a fan of bedazzled kitchen appliances.